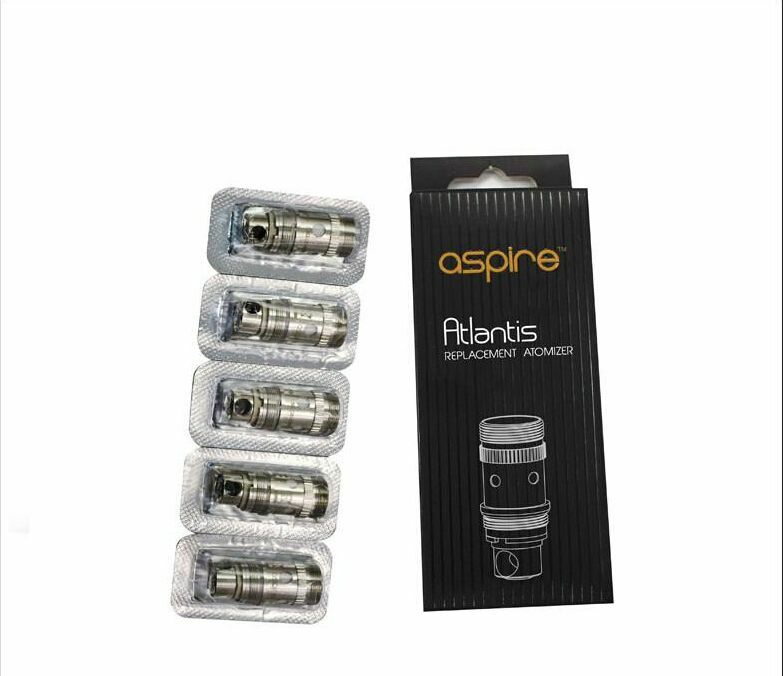 The Aspire Atlantis V2 Atomizer Coils are genuine replacement atomizers for the Aspire Atlantis V2 Sub Ohm tank that are also cross compatible with the Atlantis Mega. These BVC (bottom vertical coil) atomizers are wicked with an organic Japanese cotton for optimal flavor quality and vapor production. The 0.3 ohm atomizers will support a power output range of 70W-80W.